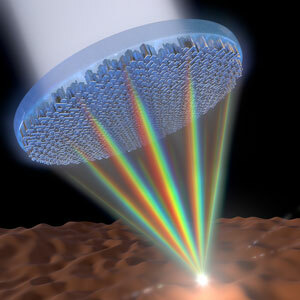 The metalenses developed by Capasso and his team use arrays of titanium dioxide nanofins to equally focus wavelengths of light and eliminate chromatic aberration. Previous research demonstrated that different wavelengths of light could be focused but at different distances by optimizing the shape, width, distance, and height of the nanofins. In this latest design, the researchers created units of paired nanofins that control the speed of different wavelengths of light simultaneously. 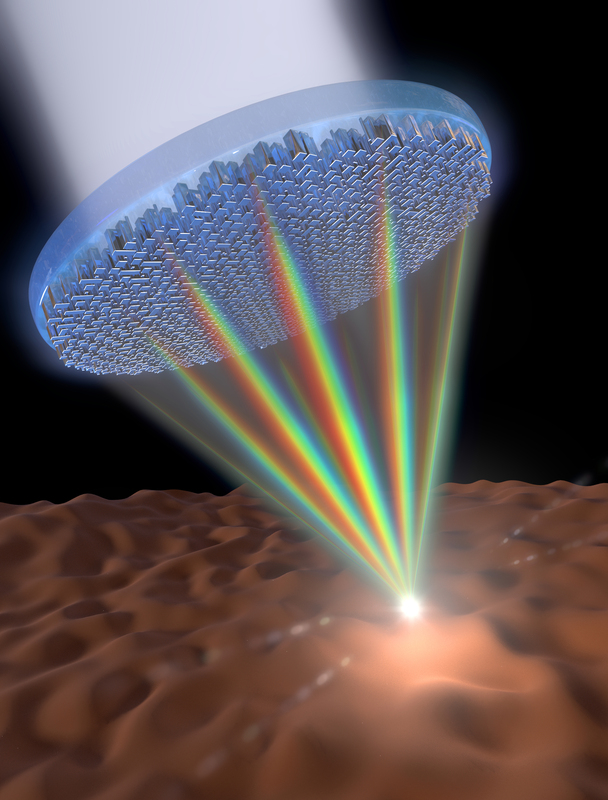 The paired nanofins control the refractive index on the metasurface and are tuned to result in different time delays for the light passing through different fins, ensuring that all wavelengths reach the focal spot at the same time.